Education: 1994 University of Maryland - Baltimore County, B.A. 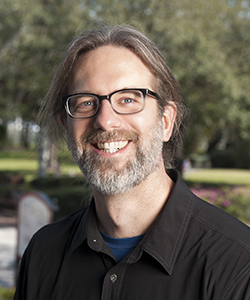 Career Specialties: Steve Geisz’s research and teaching interests include classical Chinese philosophy, the philosophy of mind and language, and political philosophy (particularly questions about democracy). His current research focuses on the ways in which body practices such as yoga, qigong, taijiquan and the martial arts can be seen as embodiments of philosophical ideas and even methods of engaging in philosophical activity. Professional and Community Activities: Geisz’s publications include “Understanding the Heart-Mind Within the Heart-Mind of the Nèiyè (Inward Training)” (Dao: A Journal of Comparative Philosophy, September 2016), “Body Practice and Meditation as Philosophy: Teaching Qigong, Taijiquan, and Yoga in College Courses” (Teaching Philosophy, June 2016), “Aging, Equality, and Confucian Selves” (in Ames, Roger T. and Peter D. Hershock, eds., Value and Values: Economics and Justice in an Age of Global Interdependence. Honolulu: University of Hawaii Press, 2015), “Turning Representation Inside Out” (The Philosophical Forum, Winter 2009), “Mengzi, Strategic Language, and the Shaping of Behavior” (Philosophy East & West, April 2008), “An Indirect Argument for Strategic Voting” (Journal of Applied Philosophy, November 2006), “The Dao and Duality of Johnny Cash” (in John Huss and David Werther, eds., Johnny Cash and Philosophy: The Burning Ring of Truth, Open Court, 2008), and “One Bourbon, One Scotch, and One Buddhist Theory of No-Self” (in Fritz Allhoff and Marcus Adams, eds., Whiskey & Philosophy, Wiley, 2010). Geisz is a 500-hour registered yoga teacher (RYT 500). He completed his 200-hour yoga teacher training at the Kripalu Center for Yoga and Health in Stockbridge, MA, and his 300-hour advanced yoga teacher training at the Lotus Pond Center for Yoga and Health in Tampa. Geisz also teaches qigong (i.e., Chinese yoga and meditation) and practices several forms of taijiquan. He is a certified instructor in the Healing Tao qigong system of Mantak Chia and a student of the Colorado- and San Diego-based qigong teacher Ken Cohen. He has been a disc jockey for a number of different college radio stations, specializing in Americana and alt-country music.